We end this review of Sleep & Relax by noting that natural, chemical-free ingredients known to aid sleep, relaxation and optimal mood are utilized well in this product. Gaia Sleep & Relax has been formulated as a sound mix of herbs to calm tension and ease racing, worried minds. 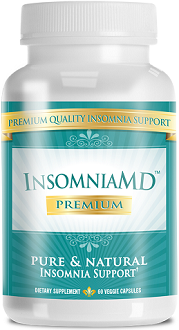 In addition, it also aids natural sleep cycles and supports the body’s ability to fall into a peaceful sleep state. Our review of Gaia Sleep & Relax is intended to help give you an indication of how good this remedy is in combating the symptoms of anxiety and tension. It is important to keep the body’s natural sleep cycles working optimally because when it is out of balance, you feel tired and irritable. You are also likely to have an attention deficit. The inability to concentrate and be as productive as required then leads into a vicious cycle in which your worry levels go up even more as you complete tasks late, or can’t cope with ‘normal’ life. Just over 18% of the American population suffers from Generalized Anxiety Disorder. Many millions of people are therefore affected by anxiety disorders. Sufferers often feel isolated and alone though. Many supplements aim to alleviate severe stress-related symptoms. As you cannot leave your health to chance, this review hopes to unpack whether Gaia Sleep & Relax is the right remedy for you. Lavender, Lemon Balm, Passion flower and Valerian are known for their ability to instill a sense of calm, and to induce relaxed sleep. 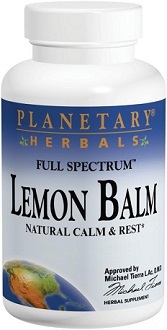 Lemon balm has been used for centuries and passion flower calms the nervous system, and also has sedative properties. Marjoram is a powerful analgesic and also relaxes muscles so they do not go into spasm. Spasm, such as from neck or back pain, is a common symptom of severe and prolonged stress. Curiously, hops and L-Theanine are not included. These would have been potent additions. Two capsules two hours before bed are advised. Sleep & Relax Herbal Tea is advised as an addition if you need more support. Not advised for children, breastfeeding or pregnant women. If you have a medical condition, embark on a course of this product only after medical approval. Do not take with alcohol, drive or operate heavy machinery after taking the capsules. This supplement is not addictive and there are not many side effects, with none being overtly noted. However, the safe interaction with excessive amounts of coffee is not established, and this would be counter-productive. The effects when taken with alcohol could actually lead to depression and sleep interruption. Lemon balm when taken in excess and can also actually stimulate anxiousness and nervous irritability. One box of fifty capsules retails for $27.99 while 3 packs can be bought online from the manufacturer for $79.17. This is a saving of just over $4. You can buy a pack of 50 capsules for just over $20 on Amazon. A 100% satisfaction guarantee is in place. The box itself will be refunded or you’ll get your money back in the form of a credit to your credit card. It is unclear what the time limit is concerning a return. 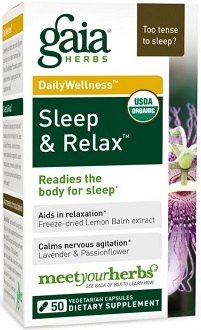 We end this review of Sleep & Relax by noting that natural, chemical-free ingredients known to aid sleep, relaxation and optimal mood are utilized well in this product. We would have liked to know more about the extraction ratios, as well as the ratio of one product to another. 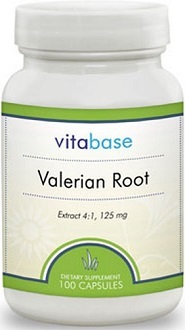 As the product is gentle in nature, we feel that it is a good introductory supplement to take for anxiety. However, those with the most severe forms of this disorder may derive less benefit. The product probably could have done with the likes of magnolia and chamomile, but it should work nonetheless. Consumer reviews for Sleep & Relax are above average, but not superb. This is probably due to the mild synthesis which may not address every symptom on the stress spectrum sufficiently, especially if the symptom is intense. It should also be mentioned that as good a product as this is, the ingredients are skewed in favor of inducing restful sleep rather than enhancing and stabilizing erratic moods.